My day didn't really start off that well. I woke up earlier than I meant to, ate breakfast, and planned to head down to the gym since I had some extra time. Then I went back to sleep instead. I had cramps and I was exhausted. My body needed rest more than it needed a morning run. It's fine. By the time I woke up for the second time, I had about an hour to get ready. Except I didn't make anything for my lunch last night like I normally would so I was forced to spend the first thirty minutes of that hour throwing lunch together. 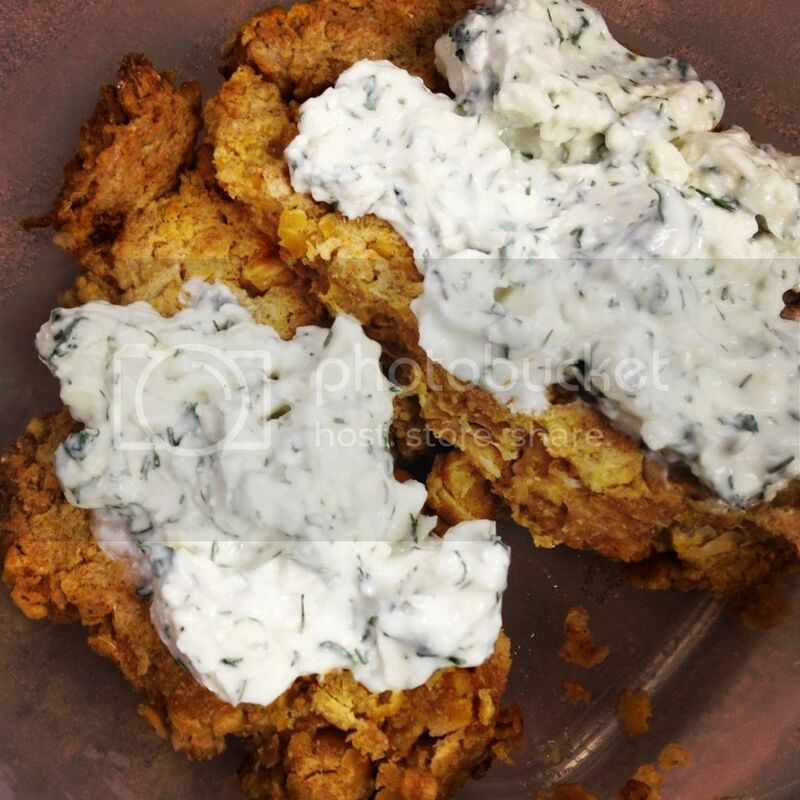 I made a chickpea patty and a tzatziki inspired spread with Greek yogurt, feta, parsley, and dill to go with it. It was super yummy, but I managed to get to work without packing the grapes I intended to eat with it. Oops. Apparently chickpea patties sans grapes are great fuel because I was full of energy by the time I left work and wanted to run really bad. That's kind of rare. I still haven't calibrated the foot pod I bought for my Garmin for accuracy so it kept saying I was going slower than I really was. According to Garmin I only ran 2.43 miles, but I don't think that's right. I burned the same number of calories I normally burn when I run 3 miles so I'm assuming I hit my goal and my foot pod is just a little confused. I'll probably do the calibrating thing this weekend. Half marathon training officially starts next week so accurate mileage will be a lot more important from now on. I also got a pleasant surprise yesterday. A while ago I applied to be a Girls Gone Sporty Ambassador and yesterday I got an email telling me I got it! I am also a Sweat Pink Ambassador, but for some reason I never wrote about it when I first found out. Oh well. I'm telling you about it now! The main reason I wanted to be part of these groups is to network with other women who are interested in fitness, nutrition, and health. Both groups seem really diverse and include women from all walks of life. Some people have always been into sports and fitness. Some became interested when they decided to lose weight. 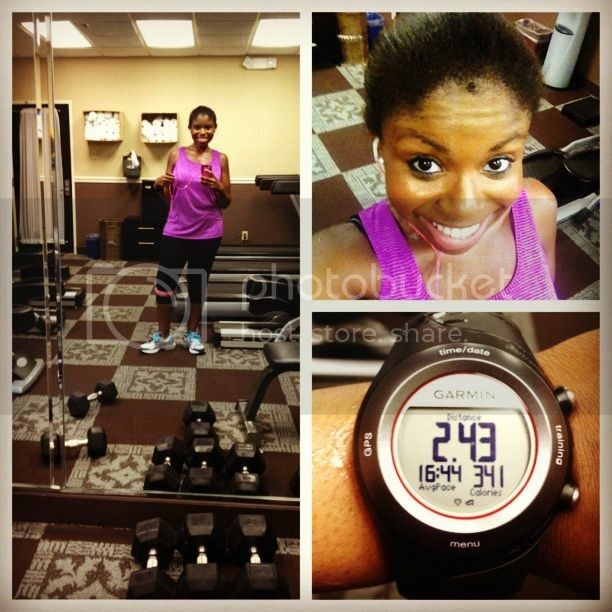 All are bloggers, many are runners, and everyone has something special to bring to the group. I don't know what being an ambassador with these programs will mean for me or my blog, but I'm certainly excited to find out!